MANILA, Philippines - An exchange of indigenous and culinary cultures took place at the Philippine National Museum yesterday during a “market encounter” organized by the Heirloom Rice Project, a joint initiative of the Philippine Department of Agriculture (DA) and the International Rice Research Institute (IRRI). Farmers from the Cordilleras—from Benguet, Ifugao, Kalinga, and Mountain Province—proudly showcased the special heirloom rice varieties and rice products produced in their communities. "The lives of our heirloom farming communities revolve around rice culture, from planting to harvesting and everything in between," shared Cameron Odsey, DA technical director of the Cordillera Administrative Region. For more than a decade, heirloom varieties have been regularly exported to niche markets. But heirloom rice varieties are low-yielding and take about seven months to mature—much longer than popular varieties that are widely cultivated. A government effort to improve the livelihoods of heirloom rice farmers is underway, which makes use of science to improve production and value-chain analysis to link farming communities more efficiently and directly to local markets. All these efforts are being made while making sure the traditions attached to producing heirloom rice are preserved. "I have to keep growing rice in the land that my parents and grandparents tilled because I do not want our rice and traditions to fade," shared Evelyn Magastino, a farmer from Ifugao. "I want my son to take up farming as well, although I admit it is physically challenging." To chef and restaurateur Amy Besa, who has been serving heirloom rice in her restaurants in New York for years, heirloom rice's authenticity is the key to promoting Filipino food. "There is integrity in heirlom rice. It was grown on our land by Filipino farmers", said Besa. "The presence of heirloom rice in the United States is a major turning point for promoting Filipino food." This sentiment is shared by chefs, Robby Goco and Chele Gonzales. They agree that heirloom rice's unique characteristics are some of their best culinary qualities. "Our rice can outshine any rice in the world. Ominio? You can make into a black sushi that is unbelievably creamy. Chor-chor-os is fibrous that is so good for salad," said Goco. "You cannot cook heirloom rice the way we cook white rice. We have to open our mind and cook according to their characteristics. This is our proverbial pot of gold at the end of the rainbow." Ominio and Chor-chor-os are some of the heirloom rice varieties from the Mountain Province. IRRI deputy director general Bruce Tolentino thanked the DA for providing leadership to the effort to help heirloom rice farmers. Under the Food Staples Sufficiency Program of the Philippine government, DA and IRRI are working on several projects that aim to improve rice productivity in the country. 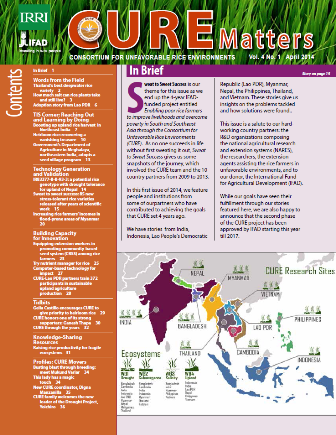 The Heirloom Rice Project, led by Dr. Casiana Vera Cruz, is being implemented by the DA and IRRI, in partnership with the DA-CAR Regional Field Office and SUCs in the region. 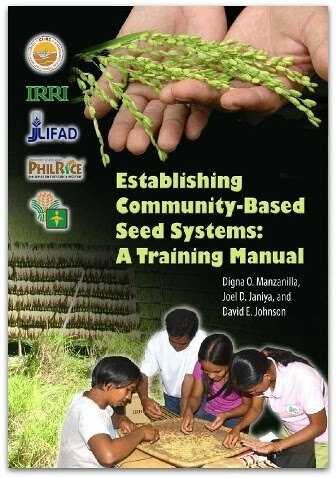 Learn more about IRRI (www.irri.org) and CURE (cure.irri.org).